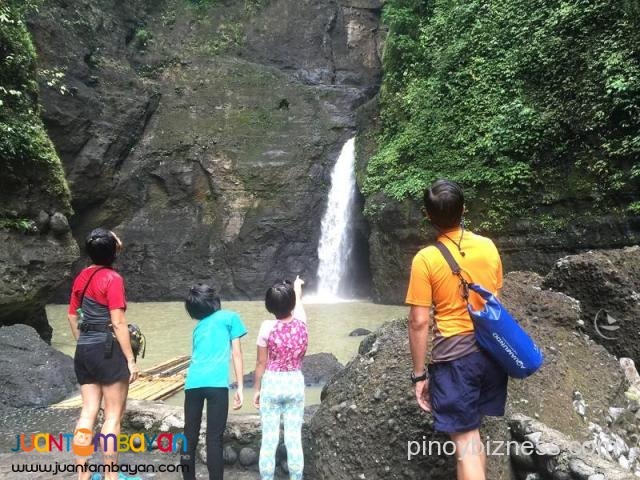 The magnificent falls is reach in its usual way which is via boat ride from Pagsanjan known as Shooting the Rapids. Boatmen manueveres the canoe in accordance to the waters current. Reaching the majestic Pagsanjan Falls, its strong careless current fills the pool-like area, one thing u shoudnt miss. Hop on on bamboo raft that will lead u directly below the falls. Swim, relax and explore the Devil's Cave behind the falls to complete your tour.